It's been more than two years since the Canadian folk rock duo Whitehorse released the EP The Northern South Vol. 1. The disc contained covers of past classics by legends like Robert Johnson, Willie Dixon, Howlin' Wolf, Jimmy Reed, and Chuck Berry. 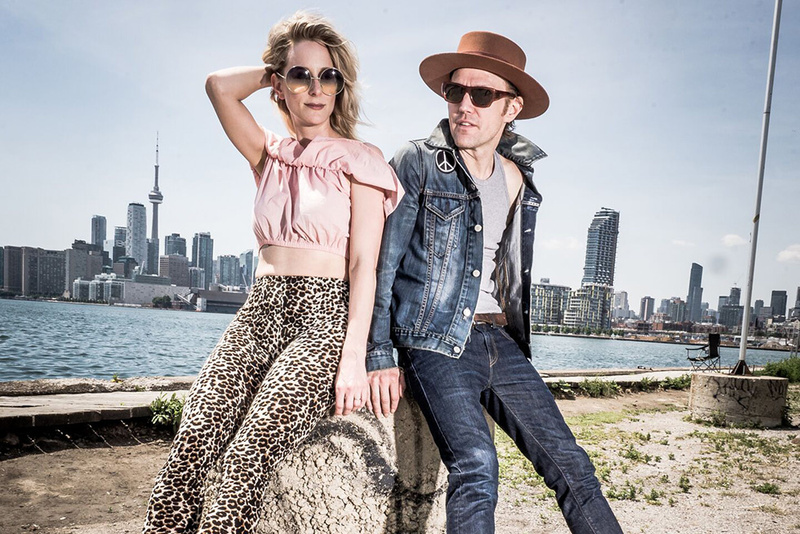 Melissa McClelland and Luke Doucet transformed these cuts into dirty, nasty, smoldering tracks that bled fire, flesh, and brimstone. The multi-instrumentalists played and sang as if possessed by the devil, the one that lives inside of us and persuades us to do the wrong thing. The wait is over. Whitehorse are back with a fresh EP, appropriately entitled The Northern South Vol. 2. The contents are similar as the band takes on six tracks including different ones by Willie Dixon, Howlin' Wolf, Jimmy Reed. However, this time Whitehorse is also partially on the side of the angels. They've included the gospel tune "John the Revelator". The duo make the coming apocalypse seem timeless as if the end of days was yesterday, tomorrow and now through their incessant verbal recitations and fuzz-filled accompaniment. They also take the traditional gospel-tinged "St. James Infirmary" with its contemplation of the funereal and turn it into a haunting dirge instead of its more usual braggadocio spirit. There is no doubt that death wins, despite the protagonist's protestations. As the aforementioned titles suggest, Whitehorse are more interested in giving well-known material new treatments rather than dig up the more obscure songs from the past. For example, Willie Dixon's "I Just Want to Make Love to You" has been successfully recorded by such luminaries as Muddy Waters, Etta James, and Rolling Stones, not to mention a host of other lesser known artists. Whitehorse give the song a slashing electric guitar lead while McClelland and Doucet exchange vocals. It's no longer a song of seduction. Who wants to make love to whom is a mutual feeling they both have for each other. The song's heat comes from their shared passion. Jimmy Reed's "Baby, What Do You Want Me to Do" is just as familiar thanks to covers by Elvis Presley, Neil Young, and Etta James. This time Whitehorse slow the song down to a strut and keep their intertwined vocals more hushed. They may sing about "doing what you want" but in a comfortable and conversational manner, like two lovers who understand each other's needs. There's no need to rush, baby. We got all the time in the world. This vibe is recreated in Slim Harpo's racy "Baby, Scratch My Back". McClelland makes it clear that its human touch that she needs. She is itchy, but that doesn't mean she's in a hurry. Doucet plays his guitar in a scratchy way so that each note provides the comfort McClelland needs. Her sighs confirm his ability to satisfy. The reversal of gender—the song is usually sung from the male perspective—adds a contemporary touch to the EP. These are six songs from the past, but Whitehorse revive them through their alternative instrumental contributions (there are sounds on this album whose sources are never clear: could be a door squeaking, an ocarina, or maybe someone just clanging on the pipes) and their inventive vocals. Sometimes they take solos but more often their voices like their instruments blend, twist, and turn together to create unusual patterns. It's been a long time since The Northern South Vol. 1 came out (and yes, Whitehorse was busy making whole new records) but The Northern South Vol. 2 makes the wait worthwhile.